I don't know when I have had quite as much fun as building this thing. their job very very nicely - making the overall sound at least twice as loud. Additional photos are at the bottom of this article. 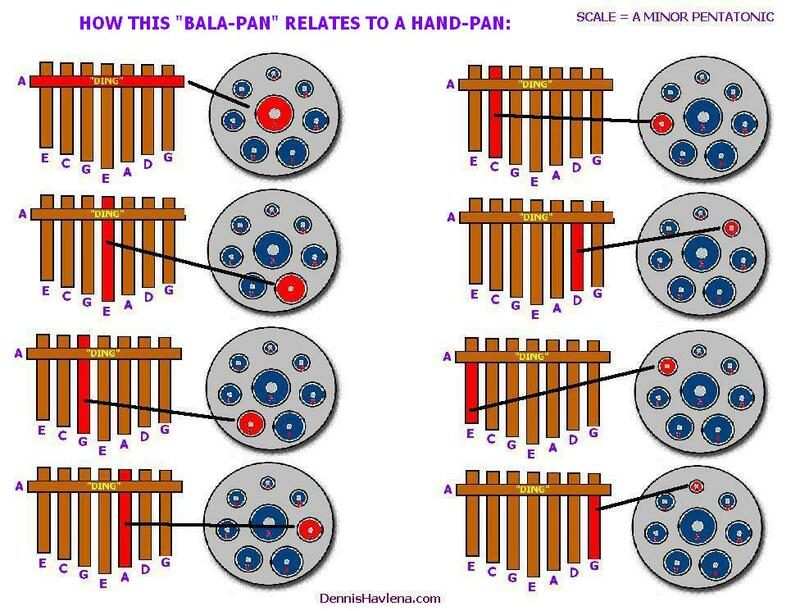 CLICK HERE to hear me playing this Bala-Pan on YouTube. 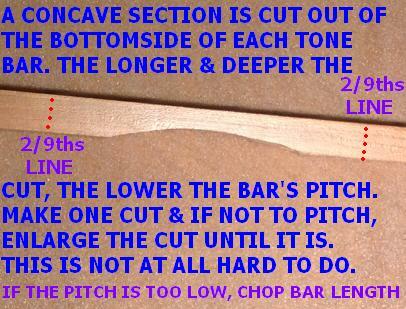 inch thick cherry-wood, which I processed to make the tone bars for this instrument. Any hardwood should work fine. This was a three-evening part-time project that turned out really nice. 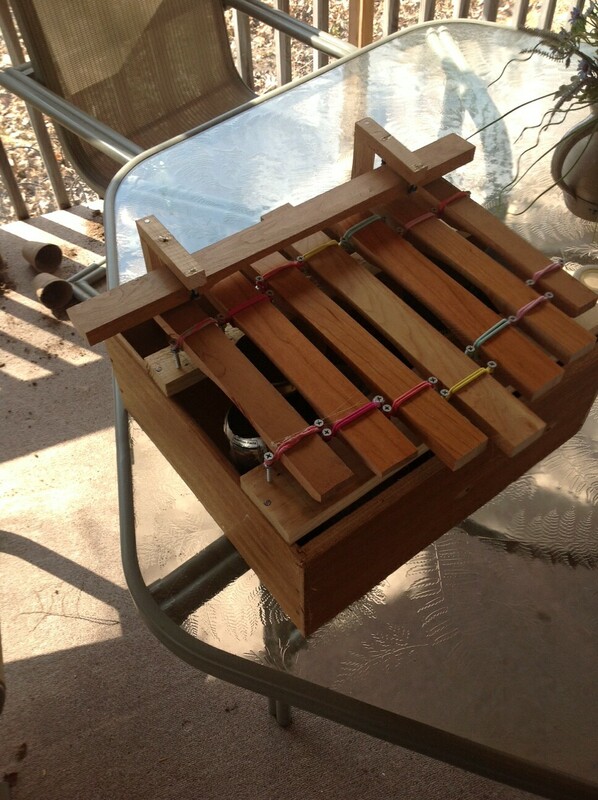 Hang-drum etc) & am very happy with how things turned out. 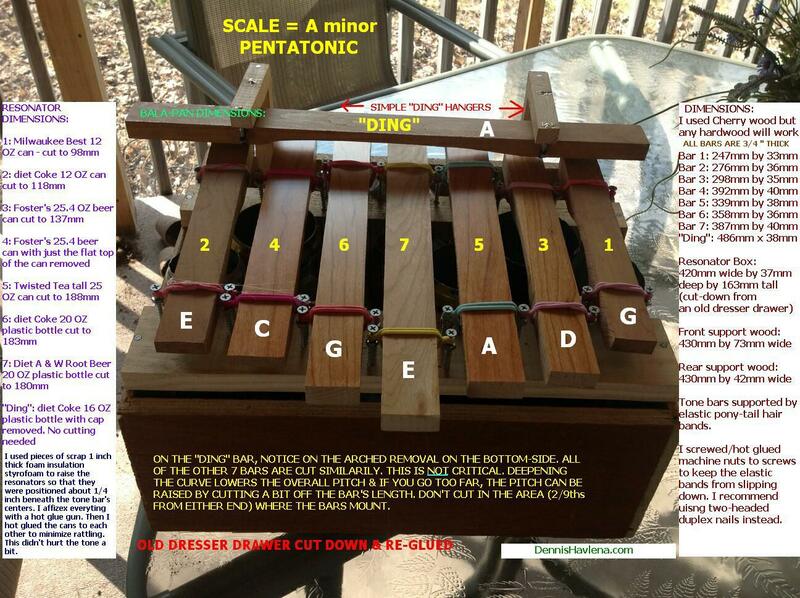 strip of hardwood (& tune the thing) into a tone-bar. 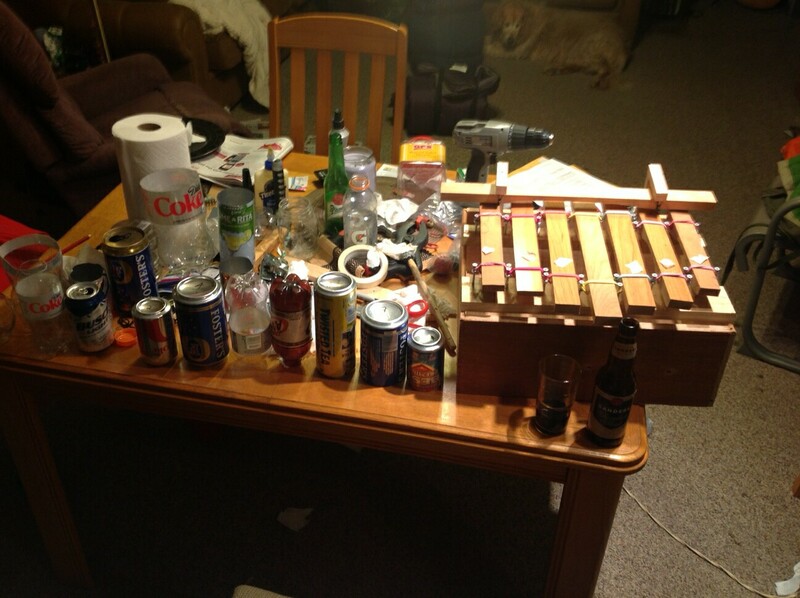 Experimentation is the thing. can always use the disaster for the next lowest note. amount of wood removed during the semi-circular cutting determines the pitch. at one end (or anywhere other than 2/9 from either end) the note thuds! Why 2/9ths? 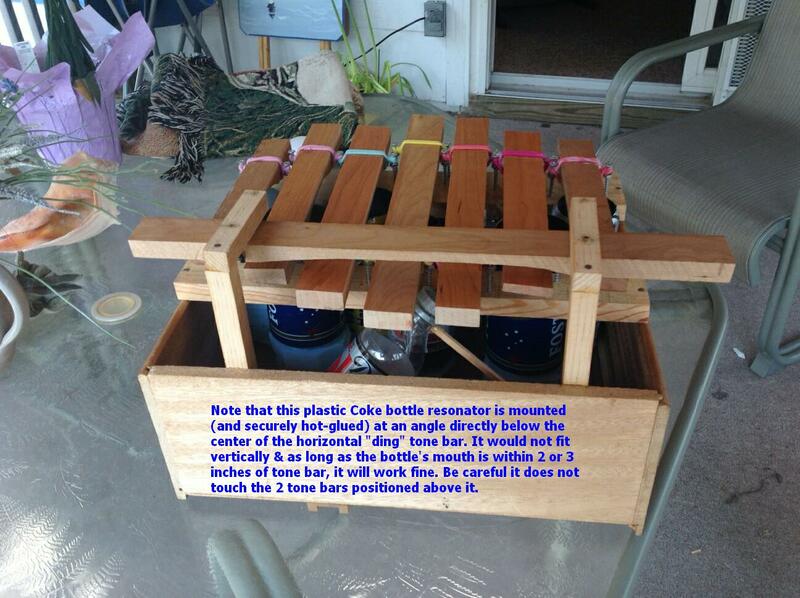 Traditionally, gourds of varying size are used as resonators for the African balafon. individual tone bars. I tried using gourds, but the cans sounded every bit as good! 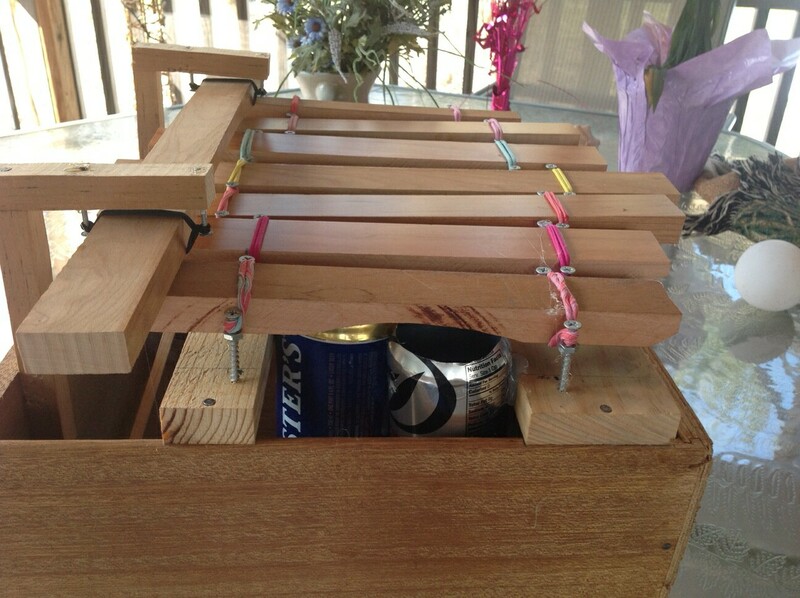 internet use cans as marimba resonators but they're perfect for this project. 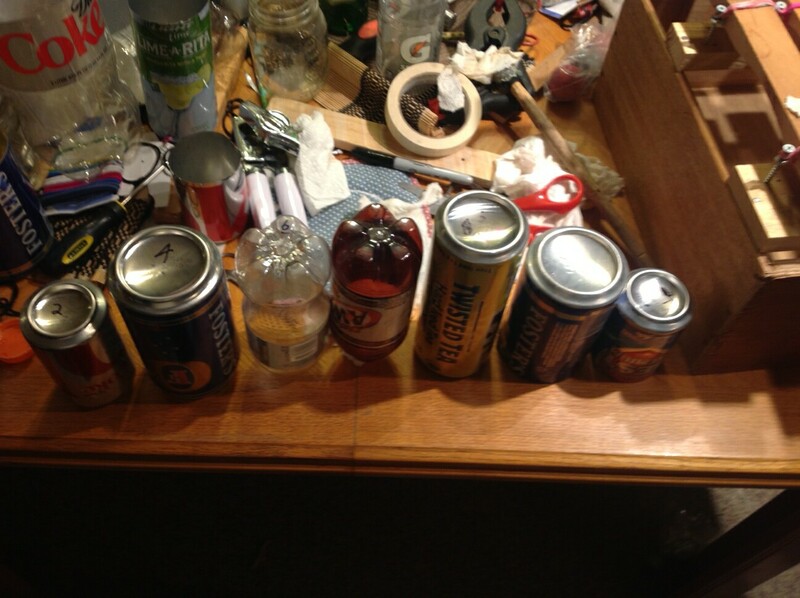 of material off the top of the cans/bottles until the pitch matches the tone bars. There is some leeway here - you don't have to be spot on. 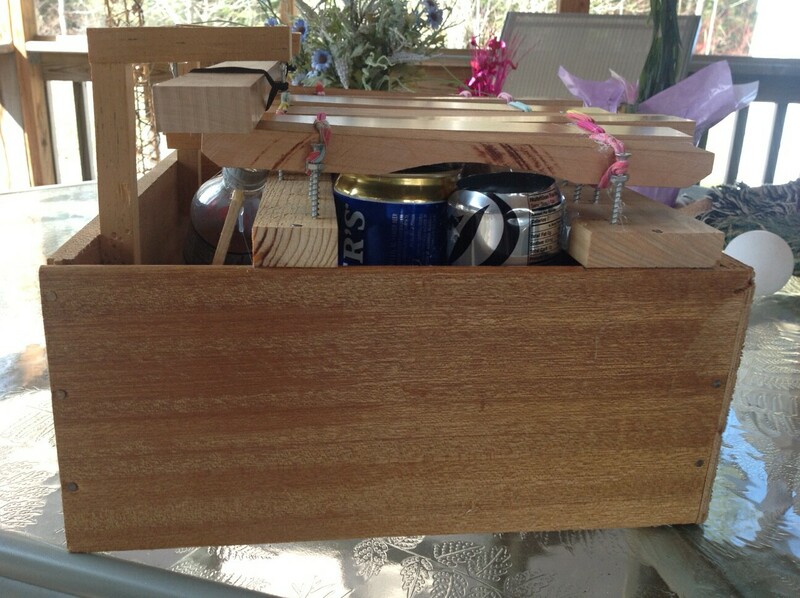 I built the box for this thing by slicing up and re-gluing an old dresser drawer. of the box are not critical. & these things made great, elastic and non-muting supports for the tone bars. As time permits, I'll try to upload a short video of this thing to youtube. Let me know if you have any questions or ideas. Thanks.